Super smooth gravel ride with absolutely stunning scenery that is right out of downtown. 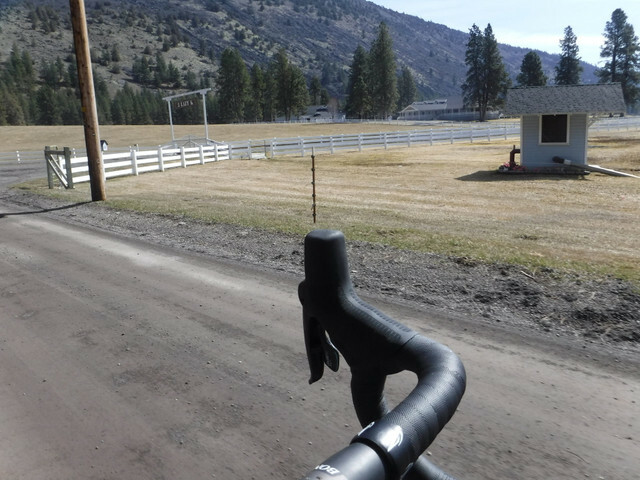 *This 2.5-3 hour, near road bike level gravel route is our shop's favorite ride. 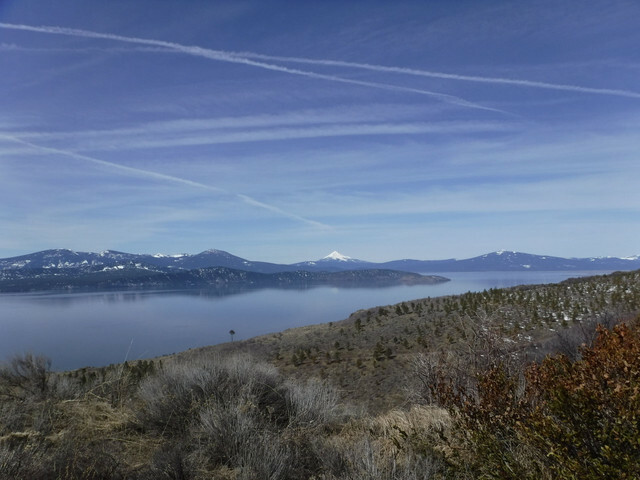 It has some of the most @photo[dramatic views](2192849) in the Klamath Basin. The well-maintained @slice[gravel section](d,9369.74,19544.8) of Old-Fort Road is so nice that we often times find ourselves riding it on our road bikes (but we recommend something with about 32mm tires for best results). Expect three difficult but rewarding climbs of around 1-2 miles long with short but steep pitches. Get to the @poi[turn around point](6083045) at the top of Hagelstien and feel like you're on top of the world. * ___ Almost a four season route, this ride can be ridden on light snow years even through the winter. 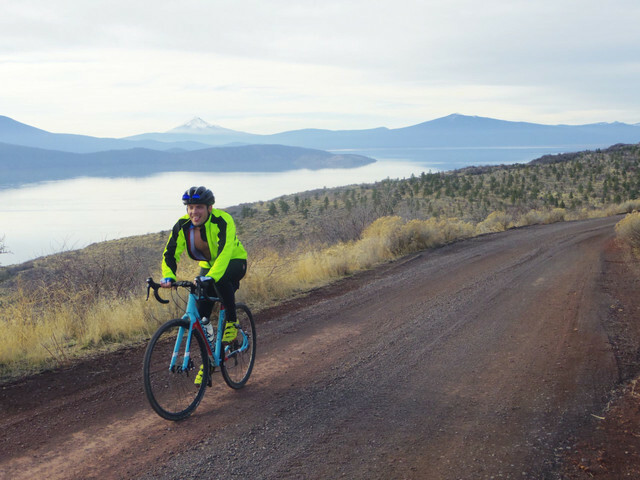 Take a packable wind shell as it can get windy (typically gives you a tailwind on the way back) and dress enough in layers that you can stay comfortable on the climbs. Expect no water stops or other amenities along the way, but sometimes bathrooms are open at @poi[Hagelstien Park](6083046). 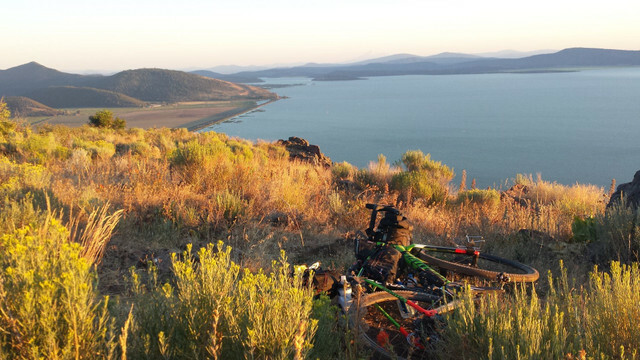 ____ # The Route Starting just a couple miles outside our @poi[shop](6083048) in Downtown Klamath Falls, Old Fort road will hit you with a @slice[steep climb](d,2870.32,6662.02) almost right from the get-go. Keep enough in your legs because the @slice[next climb](d,23994.03,27607.16) is much harder, and you still have the @slice[back-side of Old Fort](d,41025.89,48453.54) at the end. About @poi[half-way through](6083047) the first descent, the road will turn to gravel. It's well oiled and well traveled and well signed, so no need to hit the brakes hard, but caution is advised. This is the kind of gravel that will make you feel like you're a rock-star with how easy it is to ride. After a mellow jaunt on the paved @slice[Algoma Road](d,19544.8,23994.03) you will start the @point[Hagelstien climb. ](d,25357.24) The steepest part of the climb is the paved section @point[(about 1/2 mile of pavement before you hit gravel again)](d,26249.1), but after that effort it feels just as hard as it started (even though it mellows out). --Stick with it instead of stopping at the intermediate overlooks on the way up becuase the @poi[best view](6083045) is truly from up top (you can breathe a sigh of relief once you've crossed the cattle guard). Watch your speed on the way back down Hagelstien as braking bumps and some loose gravel can tend to trip some people up. It's a wide road and very little traffic so you shouldn't have to worry too much about having to mingle with cars. On a clear day you can get a glimpse of Mount Shasta on your way back down Old Fort road heading back to town. Zach's Bikes would love your help bringing this route to a wider audience. A somewhat primitive singletrack loop in dense old-growth forest. Those familiar with loam will enjoy this trail considerably. 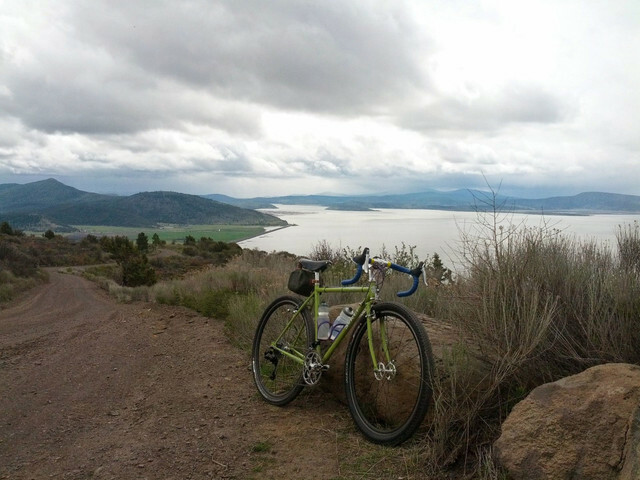 A picturesque, pan-flat road ride crossing over the California-Oregon border into a little-known National Monument. Short and simple road ride with many looping options and beautiful pavement. A serene, middle distance road ride great for all levels of cyclists.